In a twist of high-flying innovation, a French design studio repurposed this Boeing wingtip into a sleek, futuristic desk. 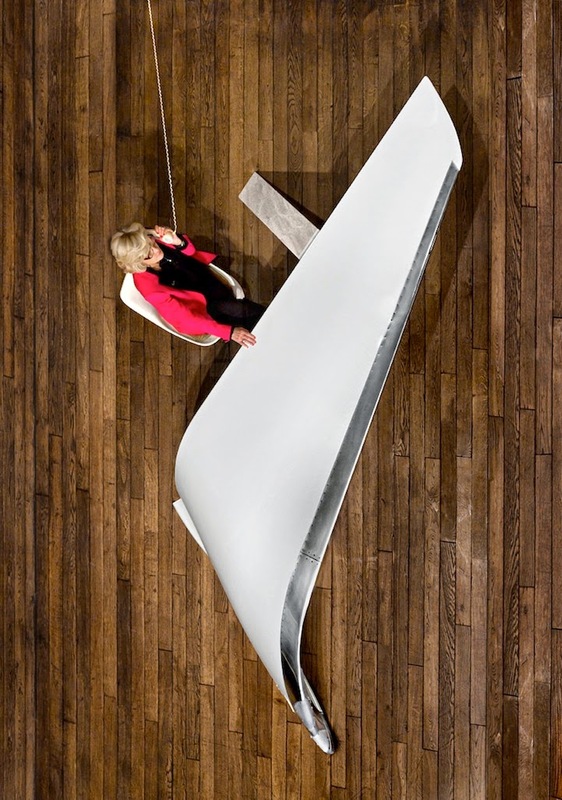 Les Ateliers Flown created the piece from a 737-800 model wingtip in a cantilevered design, meaning the white-and-silver wing stands on one “leg” of its own as it intersects the floor with a curved wing joint. A thick granite slab props up the wingtip on the other end. 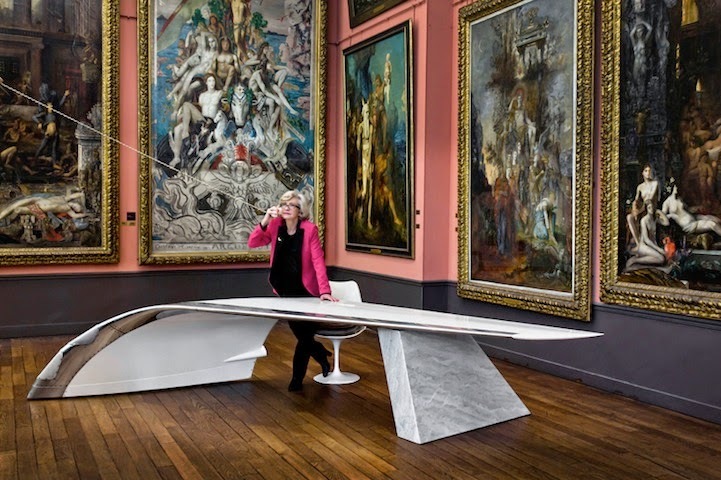 The 13-foot desk is currently on display in Paris’ Gustave Moreau Museum, but it will be auctioned off to aviation enthusiasts in March. Amazing... the grace that aerodynamics demands. I'm having a hard time makig a decision betwween BlogEngine/Wordpress/B2evolution and Drupal. something completelky unique. P.S Sorry for geting off-topic but I had to ask! 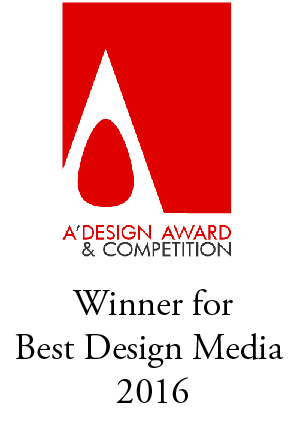 I use blogspot but I had a web developer customize the web design for me.